From the earliest traces of ancient civilizations through to Spanish conquest and modern times, we explore the history of Ecuador through the ages, to discover all the forces, struggles and achievements which have shaped this most enticing South American nation. The country we now call Ecuador was home to the oldest civilizations which lived in the Americas. Anthropologists believe that the continent was first settled by Asian nomads over 14,000 years ago and it is in Ecuador that they are thought to have first landed. Some of the most prominent ancient cultures, like the Chorrera, Valdivia and Bahia, flourished here for thousands of years, right up until the arrival of the Incas from the south, around 1,500CE. By the time the Incas arrived, the Duchichelas had secured a rule over much of the country but alas, although they put up an admirable resistance to the invasion, they soon crumbled under the powerful weight of this most famous of ancient South American cultures. The Incas arrived relatively late in Ecuador, one might say. As prominent as they were in Peru, the Incas only managed to expand their dominion north shortly before the arrival of the Spanish conquistadores. 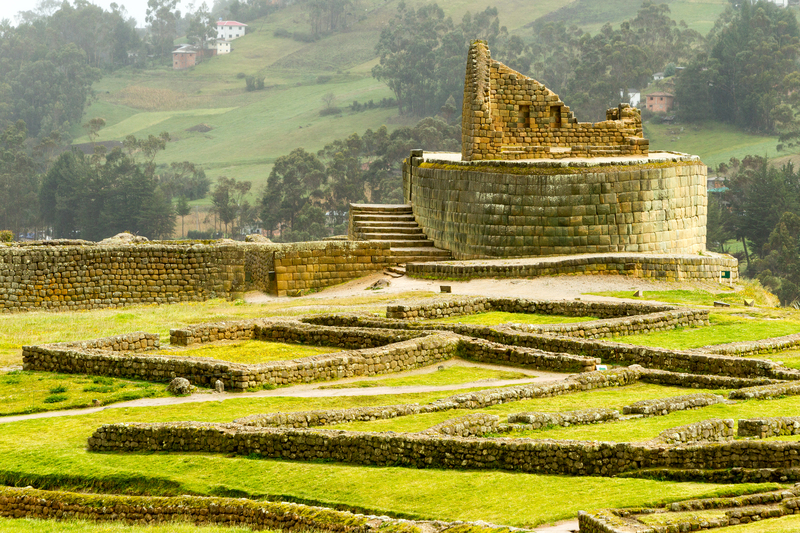 Even though their rule was rather short-lived here, the country still boasts a strong Inca heritage, alongside an array of eclectic ancient legacies. 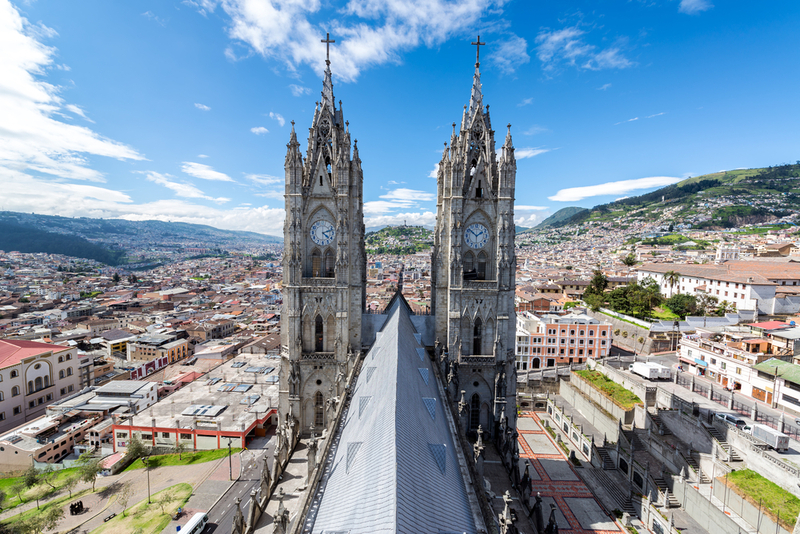 This is what makes Ecuador such a fascinating place to visit, especially for history lovers. There may only be one intact Inca ruin in the country – astonishing Ingapirca – yet remnants of Inca traditions are everywhere. General Pizarro and his forces reached the Ecuadorian coast in the early 16th century. With their weapons, horses and armour they found it relatively easy to suppress the by-now failing Incas, a powerful culture which had by then fallen victim to years of in-fighting and regional divisions. Atahualpa, the Inca leader at the time, was captured, tried and executed, yet as a final act of defiance, his general (Ruminahu) destroyed their capital (modern-day Quito) rather than see its riches fall in the hands of the conquering invaders. Quito was rebuilt by the Spanish in 1534 and set up as a hub for the colonial elite. 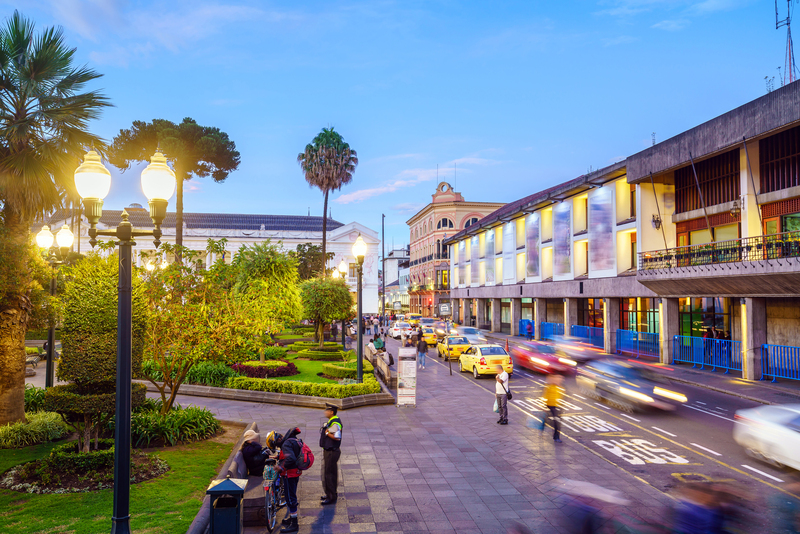 The beautiful Spanish-era architecture you can admire nowadays in Quito’s Old Town is testament to the fact that the city was built with affluence and prominence in mind. The arts and sciences were encouraged, and the city attracted the best minds and masters from all over Europe. Life under colonial rule was not all that rosy for indigenous Ecuadorians. Forced into hard labour working on plantations and farms, they contributed to the growth of an economy which was heavily based on agriculture, a legacy that continues nowadays. With the birth of a middle-class several liberation attempts took place at the start of the 19th century. By 1809 Quito had managed to secure a self-governing junta, followed by Guayaquil in 1820. Fully-fledged independence was finally declared by Simon Bolivar on May 24, 1822, with forces led by Antonio Jose de Sucre, after whom the administrative capital city of Sucre is named. At the time, Ecuador, Colombia, Panama and Venezuela were joined to form what was known Gran Colombia and it wasn’t until 1830 that Ecuador proclaimed itself as an independent republic. The history of Ecuador’s many ethnic and cultural influences have since played a huge role in its political entity, as has its penchant for military rule. The first president, a Venezuelan-born army general, wrote the country’s constitution, declared Quito as the capital and Roman Catholicism as the official religion. The first 50 years of independence were marked by political instability, presidential assassinations and an almost complete breakdown in government ruling. The liberal seaside inhabitants and conservative countryside landowners have always viewed their country, and its aims, in very disparate ways and the tension that brewed among them led to years of unrest following independence. Ecuador seemed to gain its footing towards the end of the 1800s yet ever-present poverty among its lower classes continually caused instability. The biggest blow Ecuador suffered was arguably in its 1941 land dispute with its neighbour, Peru, over ownership claims of the upper Amazon region. This particular quarrel would become a recurring issue between the two neighbours and over the years Ecuador and Peru have butted heads – and traded gunfire – over several land disputes, many of which Ecuador lost. Agriculture would continue to be the backbone of the economy and after WWII this would prove to be quite beneficial, as the country received a much-needed boost due to blossoming banana exports. Yet political stability remained all too elusive for Ecuador. Military interventions, coup d’état, rampant corruption and even a stint of dictatorship have stunted the country’s growth and prevented its rise as a major player in the Latin American region, although the last few decades have proven to be quite the page-turners for Ecuador’s history books. When oil was discovered in 1967, it swiftly became the country’s main export and the country prospered on the back of the most coveted commodity of all. That is, until a severe drop in oil prices plunged the country into a severe economic depression throughout the 1980s, a fact not helped by a few disastrous agricultural years. Stints of drought, flooding and even a catastrophic earthquake caused colossal damages to the country’s infrastructure, with rebuilding costs coming in at more than USD 600 million. And all this on top of a bloated foreign debt bill which ran into the billions of dollars. By the end of the 1990s, Ecuador’s inflation had blown so out of proportion that its own citizens started to trade in US dollars, thus unofficially dollarizing the country’s economy. In 2000, Ecuador official adopted the American currency as its own. 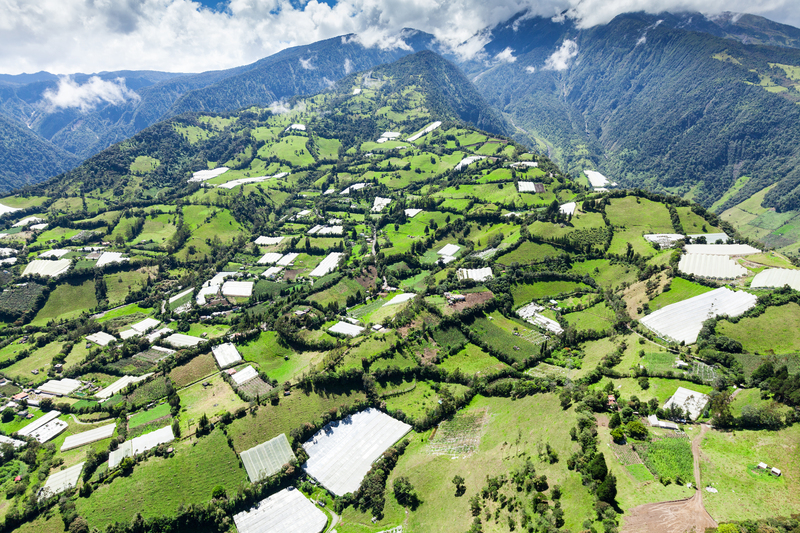 Despite its turbulent history, Ecuador continues to progress, albeit slowly. The last two decades have seen the country continue its banana and cocoa exports, for which it has now become a world leader, and actively market itself as an exceptional tourist destination, which it most certainly is. As the famous maker of the Panama hat and a country which offers a wealth of incredible landscapes and experiences within its relatively small confines, Ecuador rates as one of the most rewarding to visit in all of South America. Perhaps it’s because it has remained under the radar for so long, but Ecuador dishes up authenticity and an eclectic array of highlights that’s not found anywhere else. Moreover, it’s quite incredible to experience ‘two countries’ within its borders. 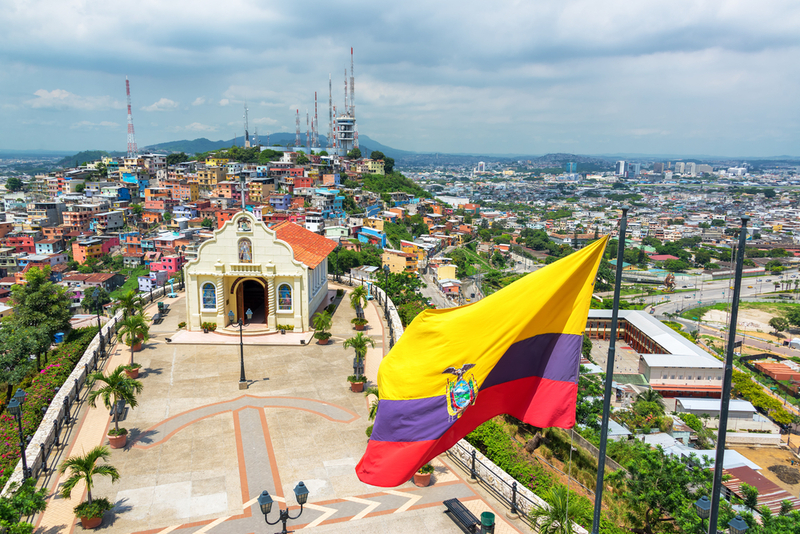 The Ecuador of Guayaquil, with its beautiful beaches, ceviche and surfing hubs is a world away from the high-Andean world of Quito, Cuenca and Otavalo, where people remain steadfast in their commitment to history and tradition. Being such a compact country, visiting these two worlds is a breeze, one which offers innumerable rewards. 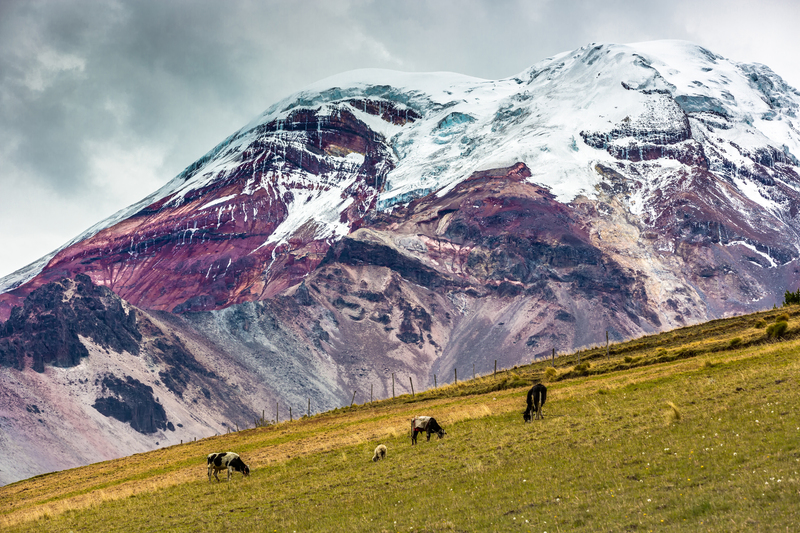 The famed oasis in the desert, in the shape of political and economic stability, is finally on the horizon for Ecuador, making this one of the safest countries to visit in all of Latin America. Interested to learn more about the history of Ecuador? Here at Chimu Adventures, we offer exceptional tours to Ecuador which take in the best historical and archaeological highlight, and would be more than happy to plan a bespoke tour to include all your favourite must-see sites and attractions. From the wildlife-rich Galapagos Islands to the enticing depths of the Amazon Jungle, Ecuador offers a host of truly unforgettable travel experiences. Contact us for more info.